Detoit Metro Visitors and Convention Bureau - Rose Catering II Inc.
What can we say to you? We are honored to have attended another awesome Network/Marketing training at this wonderful facility Detroit Metro Visitors and Convention Bureau! As we broaden our business, we make every attempt to better our services for YOU through trainings. After all what makes a business work better other then knowledge?! Stay turned and watch us grow as we are educated throughout the marketing world! 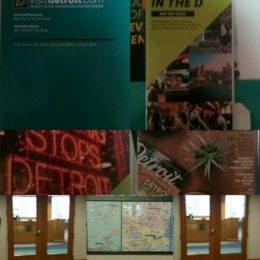 Again we recommend taking a moment to visit the http://www.visitdetroit.com, as they have so much to offer you the consumer.